How Does A Dehumidifier Work? - Which? Read below to find out why you might want to buy a dehumidifier, plus our tips on how to get the most from your dehumidifier. Does your home suffer from signs of damp or condensation? Find out whether a dehumidifier will help solve the problem, how they work and how to make the most of your dehumidifier. Dehumidifiers are designed to keep a room’s humidity levels in check, so the air is more comfortable and you notice fewer physical signs of damp air – such as mould on walls or condensation on your windows. We’ve independently tested and rated a range of over 40 dehumidifiers to reveals the best and worst models available in the shops. The best dehumidifiers are easy to use, won't cost you much to run and do a fantastic job of pulling water from the air whether working at room temperature or in colder conditions. The worst, on the other hand, will take much longer to do the same job. Head straight to our dehumidifier reviews to discover which models are worth buying. Dehumidifiers draw excess moisture from the air – helping to combat condensation, prevent mould growth and reduce damp on walls. 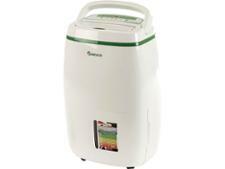 There are two main types of dehumidifier to choose from – refrigerant (also known as compressor) and desiccant. They work in different ways and claim to be better suited to different environments. Refrigerant (or compressor) dehumidifiers These draw in air through a filter and over cold coils. Water then condenses on the coils and drips into the water tank. It’s often claimed that they work better at higher temperatures and higher humidities, and so are the better choice for most occupied homes in Britain. Desiccant dehumidifiers These use an adsorbent material to extract water from the air, and the material is then heated so that the moisture drips into the water tank. Desiccant dehumidifiers are designed to work more effectively in lower temperatures – the sort of environment you might expect in your typical garage or conservatory. It’s often claimed that desiccant dehumidifiers tend to use more energy than refrigerant dehumidifiers because of the way they use heat to warm the adsorbent material. We've found dehumidifiers that ace our water extraction tests at both room temperature and in colder temperatures, meaning they'll do a great job of preventing mould growth in all rooms around your home. Check out our Best Buy dehumidifiers to find out which are the best models we've seen. Use an extractor fan or open a window when taking a bath or shower. Wipe down wet walls and floors in your bathroom after use. Seal cracks in your walls with a caulk or sealant. Place wet clothes to dry next to an open window. If possible, dry your clothes outside. When cooking on a hob, use your extractor fan hood. Check gutters aren’t clogged and downspouts direct rainwater away from your home. Make sure your tumble dryer is properly vented to the outside. Check for any leaking pipes or appliances. A damp-proofing course may be needed for tackling structural rising damp. Damp on walls can have many causes – our guide on dealing with damp helps you work out what kind of damp is affecting your property, including advice on dealing with condensation. To get the best from a dehumidifier, it’s a good idea to vacuum beforehand – so you’re not spreading around irritating dust particles, or clogging up the air filter if your dehumidifier has one. Set the dehumidifier away from walls, furniture and curtains, keep doors and windows closed while the dehumidifier runs and empty the collected water out of the dehumidifier after every use and before moving it to another room. Vacuum the air filter on a regular basis; you can usually wash it if it’s very dirty, but check the manufacturer’s instructions first. Aim for a room's humidity to be somewhere between around 50% and 60%. 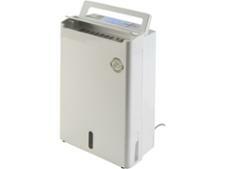 Most dehumidifiers have an automatic humidistat. With this, the dehumidifier monitors the moisture in the air so it can turn itself on and off to maintain the humidity level you’ve selected. So instead of repeatedly turning your dehumidifier on and off, you can let the dehumidifier do this by itself to maintain your desired humidity level. You should be aiming for the room’s humidity level to be somewhere between 50% and 60%. We test how well this auto-setting function works – head to our dehumidifier reviews to find the models that excel at this test. Our test results of over 30 dehumidifiers show that some dehumidifiers are much quicker at pulling water from the air and more energy efficient than others. This means you won’t have to use them as frequently and they’ll have less of an impact on your energy bills. Just want to know which are the best? 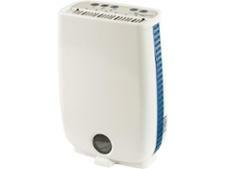 Go to Best Buy dehumidifiers for an up-to-date list of the models that Which? experts recommend.